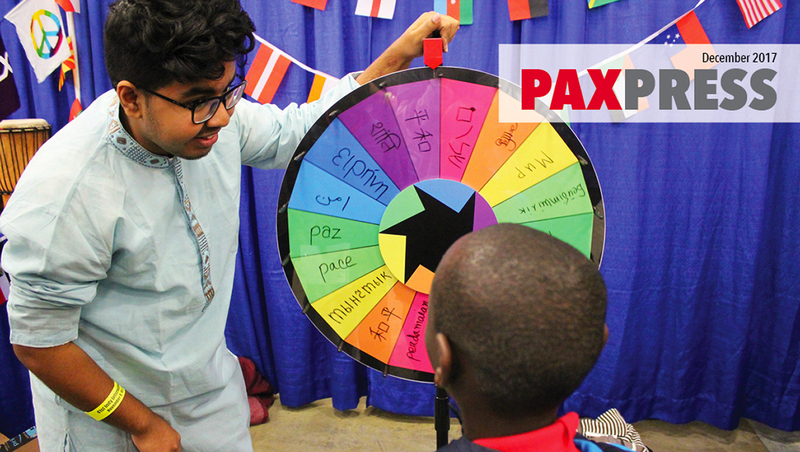 A joint initiative of the U.S. Department of State and the U.S. Department of Education, International Education Week (IEW) is an opportunity to celebrate the benefits of international education and exchange worldwide. This year, IEW was officially celebrated November 13 to 17. Like every year, our Future Leaders Exchange (FLEX) Program and Kennedy-Lugar Youth Exchange and Study (YES) students—programs sponsored and funded by the U.S. Department of State's Bureau of Educational and Cultural Affairs—seized the opportunity to both make connections in their host communities and share the nuances of their cultures. With stories like this, we have devoted the entire December issue to IEW. We hope you enjoy reading about Sifatul and his peers, as they share how they dealt with the pressures of public speaking, what they did to prepare, and how their audiences received them. For us, there is something especially inspiring about a Bangladeshi student being invited to share his culture at a Midwestern church, an Armenian teen dressing up her young host sister, an Estonian scholar learning about his country's culinary tradition in order to share with others, or a Lebanese lad banging away on his traditional drum for American classmates. These student diplomats are courageous to put themselves out there, generous to share their time and traditions, and clearly appreciative of the opportunities that they have been given. For this reason, IEW always makes us especially honored to be part of the FLEX and YES programs.